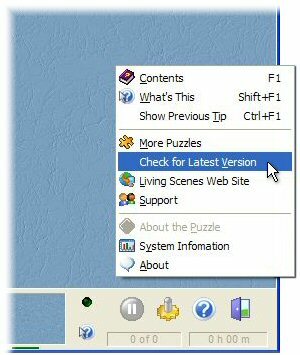 Start the Living Scenes program and click on the Help button in the control panel. Select Check for Latest Version in the pop-up menu. A web browser will appear and take you to a Living Scenes web page which will contain the specific download link you need to upgrade your version of the program. If your program is up-to-date the web page will instead tell you that you are already using the latest program version.